Personalised full colour hardwearing material Pencil case with 2 zip fastened sides. 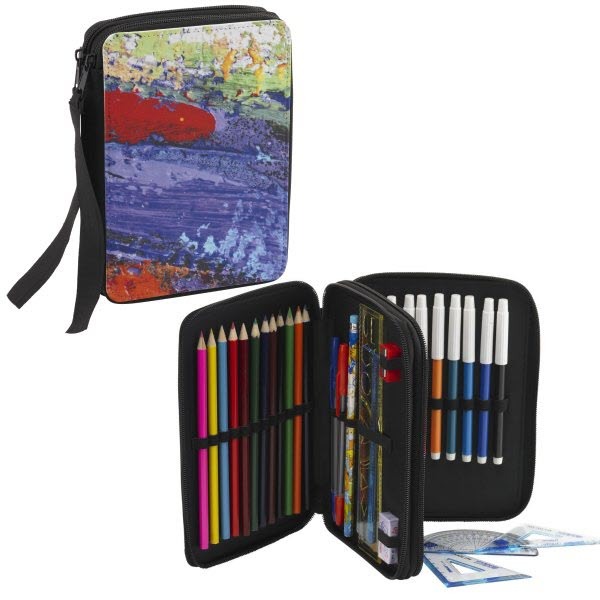 The Children’s Pencil Case measures 20.5 x 16 x 3.5cm. The entire front flap is ready to be personalised by you! Personalise with a full colour photo/picture of your choice and add text if required. It comes fully equipped with 10 colour felt tip pens, set square, protractor, 12 colouring pencils, 1 blue & 1 red biros, 2 rulers, pencil, pencil sharpener and rubber.